It will not be unjust to state that – our actions, trade decisions and ultimately our thought process — are constantly informed by a set of clever algorithms that have decoded our patterns, making AI more and more prevalent in market space. It’s obvious that those who are leading market will continue to work diligently to apply machine learning algorithms to the of real-world items, listed in Federico’s Artificial Intelligence Marketing Manifesto just a year ago. 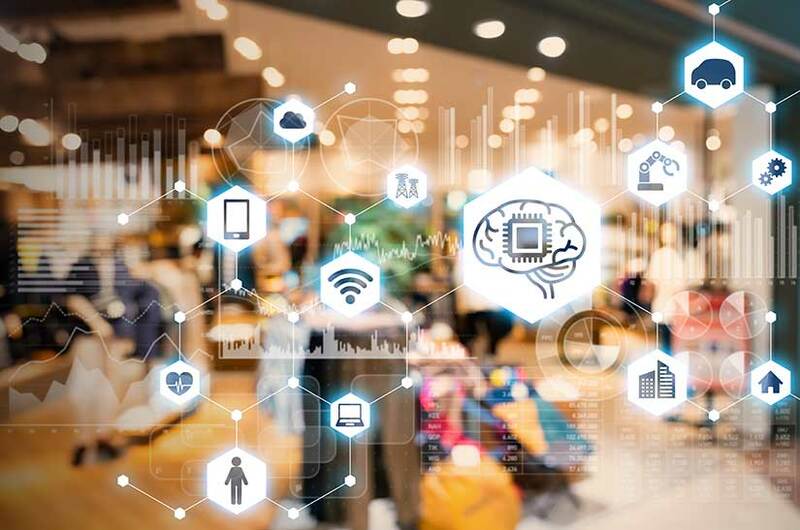 These included Predictive Customer Service, Dynamic Product Pricing, Forecasting, plus sophisticated Image, Voice and Language recognition algorithms. The Internet has been the major force behind the evolution of the communication landscape, especially in last 20 years. Presently, more than 55% of the world’s population has access to the internet, and a remarkable proportion spends over 3–4 hours every day on their internet compatible electronic devices including PC, laptop, or smartphone. Today, other than print and other traditional media like television, a larger quotient of advertisement campaigns has shifted online. This change in the dynamics of business structure has also revolutionized the business processes. Unlike conventional campaigning approaches that involved creating an Ad for television and newspapers, currently there are various advertisements explicitly designed for the digital platform. Social media channels, paid campaigns on search engines like google and Bing, favorite blogs, portals or YouTube, the internet has paved ways for many different avenues for businesses to accelerate themselves. Also, digital advertising has become popular than ever. Presently, users are more likely to pay attention to digital advertising on social media channels in comparison to ads that run during regular television shows. However, there is a growing quantity of consumers who resign from watching traditional TV channels and inclining towards advertisement-free services like Netflix. Well there are certain benefits of digital advertising as it allows even smaller players to promote their products more precisely by reaching a target group, there are also multiple other risks that need to be addressed. Technology Vs Employment is an inevitable debate that comes along with evolution. But the challenge seems to grow even fast as companies lean towards automation to improve productivity and efficiency. A bank recently shrunk its card reconciliation team from 200 to just five. A 500MW thermal power unit manages with just 200 people today, compared with 2,000 a decade ago. Policy Bazaar plans to double its business without adding much headcount. Useless ads consume time and create unfriendly user experience while browsing social media or even searching for something on Google. With incorporation of AI, users will see only the most relevant ads and something to which they can relate to. Additionally, fraudulent ads can be handled because publishers will be well-equipped with AI to identify machine-generated automatic scam posts and advertisement. Some applications and AI-based projects are already facilitating with solutions to Advertisers and Publishers. Though, it is still in initial stage, the doubt prevails here, that AI will take the Advertisement industry to another level and for the good of both the consumers and businesses.